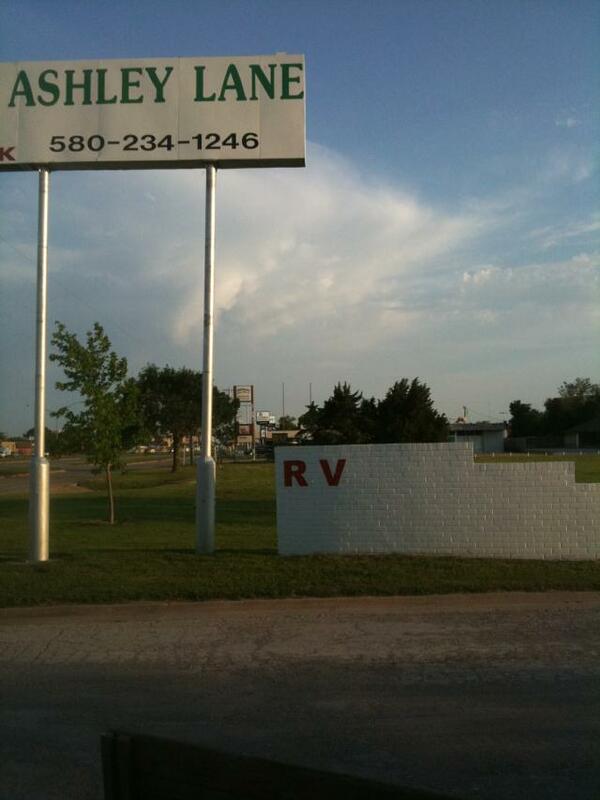 Weâ€™re located just 2 miles north of Hwy 412 on Hwy 81 in north Enid, Oklahoma. Take Hwy 81(north) (also called Van Buren) and go 2 miles to Willow Rd. Go past Willow Rd. and take first left turn (west). Turn immediately right (north) on access rd. Look up for Billboard sign. Go 1/2 block and turn left (west) between 2 white brick entryways. Come straight down to clubhouse on right for check in service. If you're coming in on Hwy 81 south we are just past W. Oxford Ave. Look for billboard sign on west side. We are next door just north of Highpoint RV Park.